Using the analysis type OpenFOAM® case upload you can directly upload a zip archive and specify which OpenFOAM® applications you want to use. This analysis type gives you access to nearly all features of OpenFOAM®. It is particularly suited if you have already done the preprocessing yourself but need extra computational power. Furthermore, you get convergence plots, are able to use the online post processor, and can share the project just like all other projects on the SimScale platform. First, you must create the archive which you want to upload. The following image shows how to create such an archive using Ubuntu, using the tutorial case “mixerVessel2D” for the solver “rhoPimpleFoam”. Inspection of the “Allrun” and “makeMesh” scripts shows that the application m4 needs to be executed in order to create a blockMeshDict. SimScale does not yet support m4 as preprocessing step, therefore you must execute the m4 step before creating the archive. Then, create a zip archive which holds the 0, constant and system folders. The archive must be packed in a way that after extraction, the folders 0, constant, system (plus everything else that’s required by OpenFOAM®) are in the working directory (and not in a directory level above or below). Please refer to Limitations for further information. 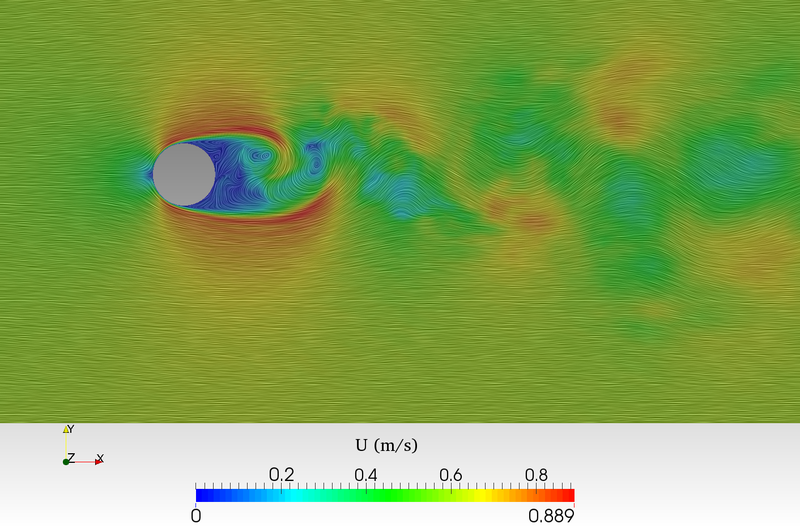 Inside your project, create a new simulation and choose the analysis type “OpenFOAM case upload”. Select the archive you just created and click “Save”. 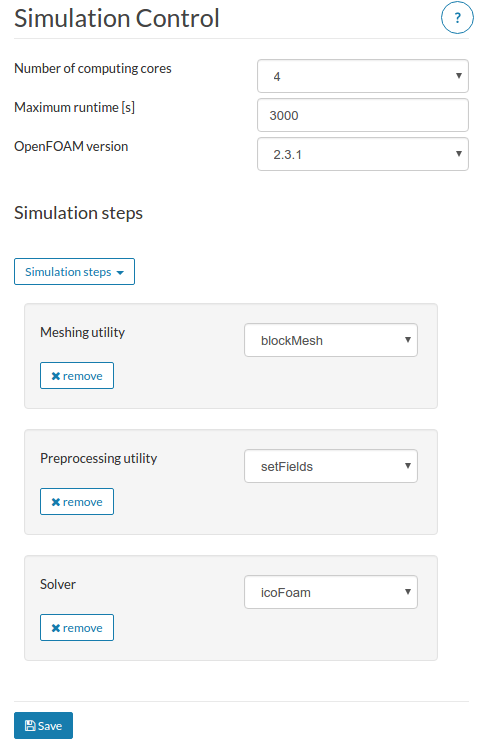 In the tree, select “Simulation Control” and add all the OpenFOAM® applications which have to be executed. Please note: You do not need to include decomposePar and reconstructPar around solvers or snappyHexMesh since this is done automatically. However, if you want to run your application in parallel, make sure that the number of processors in decomposeParDict matches the number of processors in Simulation Control. Create a new run and start it.